HomeNew releasesThe Macallan Concept Number 1 2018 launches in DXB! This weekend saw the launch of the Macallan’s latest travel retail release, Concept Number 1 2018, at Dubai International Airport. Concept Number 1 2018 will be available from other select travel retail outlets from January 2019. All in all, approx. 84.000 bottles will be available, recommended retail price is $125. 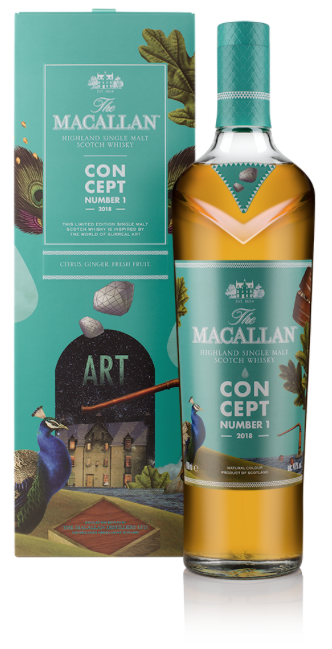 The Macallan themselves says they have by releasing the Concept created “… a single malt whisky inspired by the world of surreal art and incorporating innovative production techniques.”. The Macallan is expected to release more editions in the Concept series in 2019.